For some time now one of the most popular essays on this site as been ‘Crime and Detective Literature for Young Readers’ so I have decided offer a Kindle version. The free web version is not going away, but you can buy it for your Kindle now from Amazon (UK store and the US store). If there is some demand for this, I’ll do the same for other essays, and add epub versions as well. 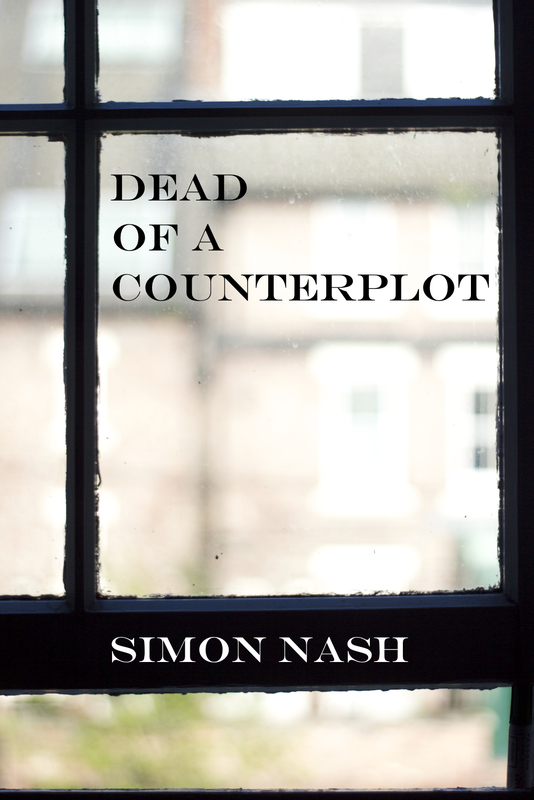 Dead of a Counterplot is now available from Amazon’s UK Kindle Store, US Kindle Store and for all other e-readers from Smashwords. Also by Simon Nash in ebook, Killed by Scandal. For a while now I have been thinking about the future of publishing, and my role in it. I spend most of my time these days working for the University of Liverpool, so I’m not writing as much as I did a few years ago, but it is likely that in a year’s time I’ll be doing something else. I’ve been lucky enough, at the age of 42, never to have had a full-time job doing one thing, though I have always worked full-time on a portfolio of things: freelance writing, editing, university teaching, and a one day a week admin job. At the moment I don’t feel especially daunted by the prospect of being laid off (though ask me again in six months), even if I will miss the salary. In the spirit of that portfolio career I have been working recently on setting up a way of publishing my work myself, and have established an imprint called Long Lane Press. For the time being there is no website to point you to, but the first publication will arrive later in the summer. I don’t expect never to publish with ‘traditional’ publishers again, though I like the control and flexibility offered by the self-publishing route, but I plan to make this at least part of my publishing output: paper books, photo books, and e-books, including essay-length pieces. It’s an experiment–it feels like an eyes-closed step off the high diving board–but I’m excited to see how it turns out. A free preview e-book of Long Lane Press’s first publication, Fram: To the Ends of the Earth, is downloadable from here. It’s an account of the ship, Fram, which Roald Amundsen took on his successful expedition to the South Pole, one hundred years ago, in 1911. It includes loads of photographs, and looks great on an iPad or other tablet device, but is laid out in columns, so also works well on a smartphone, and of course anywhere else PDFs can be read. I’d be delighted to hear comments–positive or otherwise, so I can make it better. Buy the book from here.